Watch your team improve instantly as they apply the same strategies used by the top Customer service companies in the world. 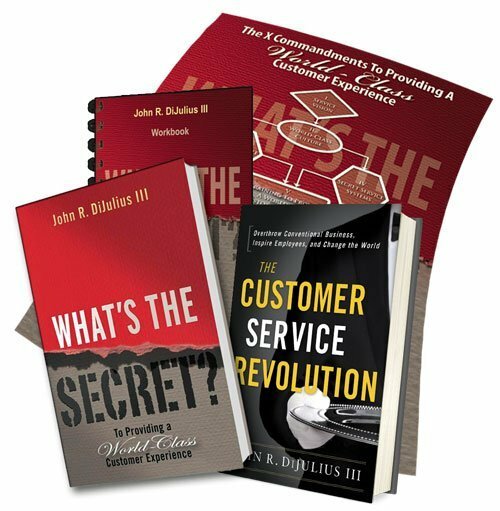 Utilize John DiJulius’ best-seller What’s The Secret? in conjunction with a downloadable version of the What’s The Secret? Workbook and ensure all the your team is aligned to the same system. 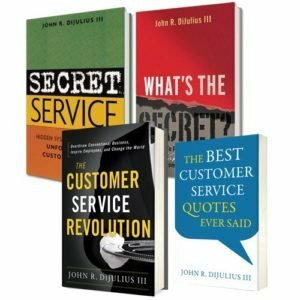 For a limited time offer receive a X-Commandments Poster to display throughout your office and John’s latest winner The Customer Service Revolution book. 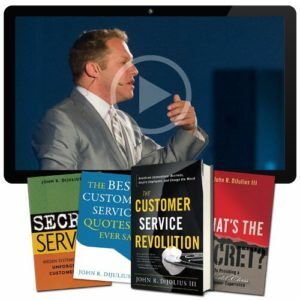 Witness a Customer service revolution at your company.